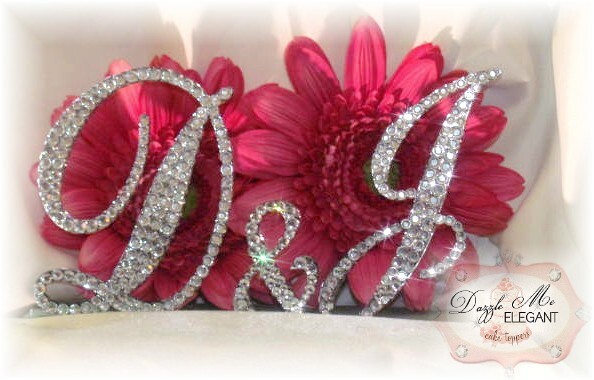 Display your initials with beauty and elegance with the crystal couples monogram cake topper. This topper is perfect for your wedding cake. Topper size is 3.5" Letter 2" & 3.5" Letter. Fits top tiers sizes 6-8 inches. These are 3 separate pieces. Want to mix fonts? Please use the Special Instructions box to let us know what you'd like your fonts to be!